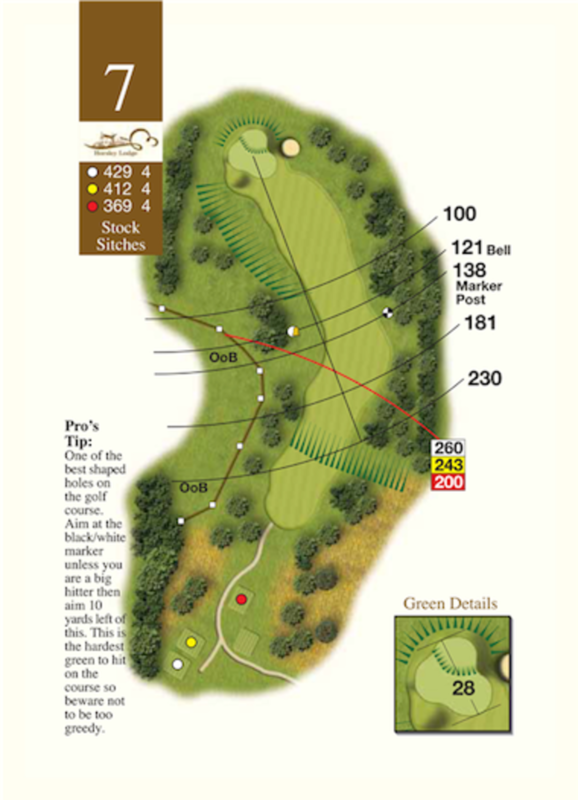 Stock Sitches: One of the best shaped holes on the golf course. Aim at the black/white marker unless you are a big hitter then aim 10 yards left of this. This is the hardest green on the course to hit so beware not to be too greedy.